In Switzerland there has been a national final called “Die Entscheidungsshow”. Like in the years before, the Swiss television SRG RTS SSR has called for songs. There have been entries from all Swiss language regions. In the Swiss final every of the six finalist had to perform their song plus another song, which should give a substantial overview of the singing qualities for the jury and TV viewers. With the highest votes both from the jury and televotes, Mélanie René has been announced as Switzerland’s representative in Vienna. Mélanie René was born in Geneva, Switzerland in 1990. She has Mauritian parents and in the age of seven Mélanie started singing on family celebrations and festivities. Furthermore she learned to play the piano and composed her own songs. As the family moved from the French-Speaking Switzerland (Romandie) to the French department of Haute-Savoie, she had the honour to participate the Gregoriou International Festival in Brăila, Romania. Her song “Il Chante Avec Les Anges” was a dedication to her grandfather and won the contest. Mélanie has achieved a Bachelor in music performance from the Institute of Modern Music in Brighton. She will be the first singer from Geneva at the ESC since 1996. The outlandish R’n’B ballad “Time To Shine” will be sung soulfully from the beautiful Mélanie. The arrangement of the song seems to be gravely and stodgy by first hearing. It all depends on her stage performance in Vienna how far she will get with this song. Unfortunately, it’s not clicking immediately and therefore might have difficulties to qualify if the competitors are too strong. This year Switzerland is taking part for the 57th time in the Eurovision Song Contest. Switzerland is not only one of the founding members of this event it has even won the first contest in history with “Refrain” by Lys Assia in the first year back in 1956. Switzerland has missed out two years 1999 and 2001 due to bad placing in previous years. Since the Semi Finals have been introduced in 2004, Swiss entries were struggling with the qualification for the Grand Final. Only four times Switzerland has passed the qualification round since 2004. 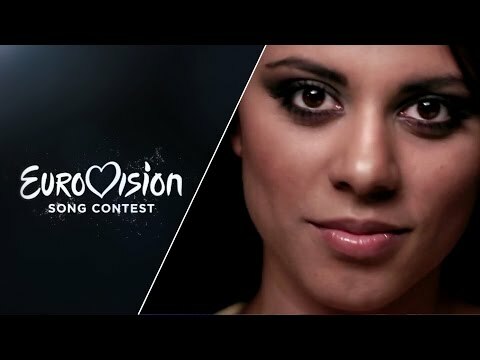 Out of 57 participations, Switzerland could only be in the Grand Final 49 times. And 27 times Switzerland reached the Top10, so there is a statistically chance of 47% reaching the Top10. The Swiss entries have mostly been sung in French and German language, seldom in Italian or Romansch. Last year’s entry “Hunter Of The Stars” by Sebalter made a 13th place in Copenhagen Final. Probably the most prominent name next to ABBA is Céline Dion. The Franco-Canadian singer has won the Eurovision Song Contest in 1988 with “Ne Partez Pas Sans Moi” with only one point ahead to the UK. At that time Céline was an absolute newcomer and she started a world career one year after, when she opened the 1989 ESC in Lausanne with “Where Does My Heart Beat Now”. Nowadays she has her own show in Las Vegas, sells millions albums and is one of the biggest stars in the world.